Tags: Black, Chiffon, Cigarette Pants, Front Open, Gown, Party. Front open gown with inner blouse. Floor length sheer gown features beautiful embroidery on center and sides slits. 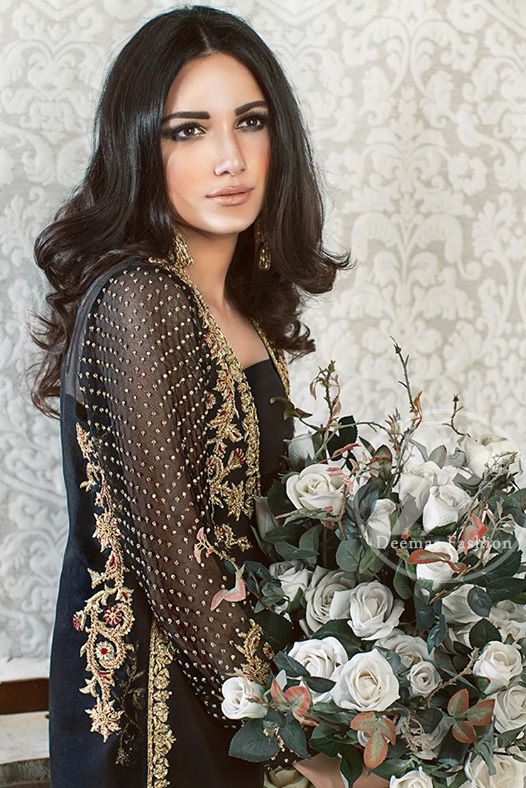 Sheer full sleeves with large embroidered motif. Cigarette pant contains embellished motifs. Dupatta has been finished with lace. Embroidery includes Kora, dabka, stones, sequins, beads and pearls.